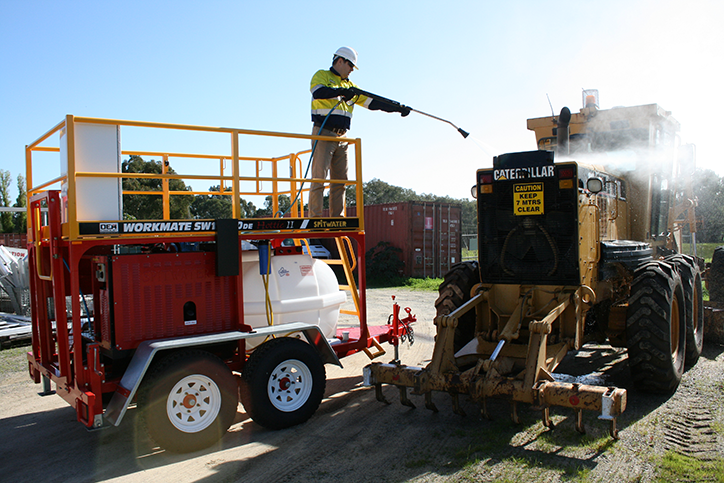 This client works with large earthmoving machinery that invariably gets very dirty. Thick mud and dust must be removed from the vehicles - before maintenance can occur - however consistent downtime in the wash bay was costing time and money. We discovered that multiple operators were improperly using their existing pressure cleaner units and causing breakdowns. What they needed were simple and reliable units, but also some customised features to deal with the sheer scale of the operation. By retro-fitting one of our standard Spitwater Pressure Cleaners - with clever features like low-level water cut-off, high temp seals and valves, plus an auto shut off timer - we saved the client time and money. Since the new unit was installed, there's been no more problems with the operation of the unit.